Every dollar raised from raffles at our monthly WIB luncheons goes directly to our scholarship funds. 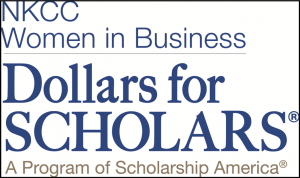 NKCC WIB Dollars for Scholars board gives thousands in scholarship dollars every year to a small applicant pool. If you are affiliated with the D300 area please spread the word.